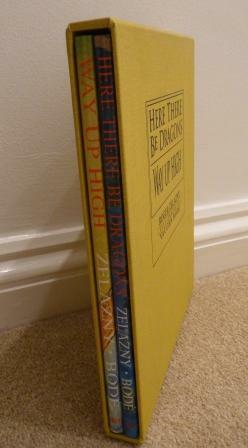 1st edition, signed, limited slipcased edition. Roger Zelazny, winner of six Hugo awards and three Nebula awards, met Vaughn Bode. Admiring each other's work, they joined forces in the creation of "Way Up High" and "Here There Be Dragons".